With 35 sizes available and offering superb value, our Econopost Postal Boxes are already among the most popular items we sell. 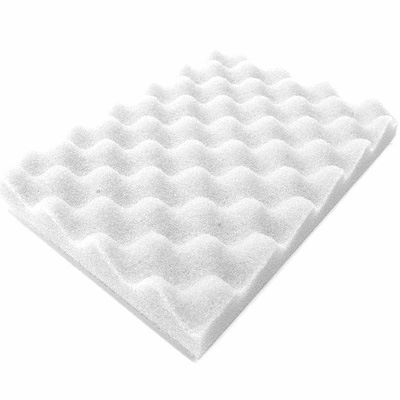 And now they come with even more choice, because you can order these protective egg box foam packaging sheets to fit each and every size in the range. 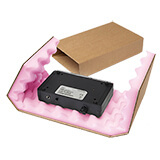 That brings some of the most reliable protective postal packaging around into the range of any budget, so that keeping even the most delicate item safe when in transit needn’t add significantly to your costs. Available in packs of 50 (ie 25 pairs), they’ve been made from VP12 polyurethane foam and have a 25 or 30mm profile. As a very rough guide, two pieces of 30mm foam will reduce the available space by about 25mm, while two pieces of 25mm foam will cut space by about 15mm. Please note that we do not keep these items in stock, but we can deliver in 5-7 working days. 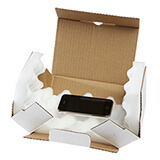 And we can also create custom egg box foam packaging for our other postal boxes. Call us on 01332 821200 for more details!